This book was INCREDIBLE. 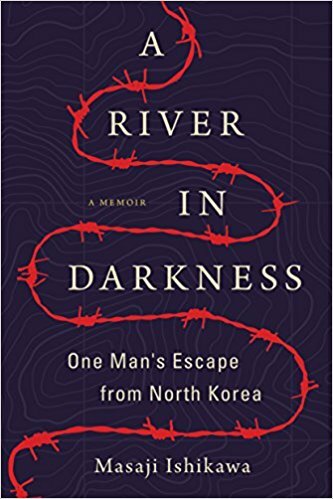 Heart-breaking, haunting, and deeply insightful, this look at one man’s journey through his life in North Korea is like nothing I’ve ever read before. It’s books like this that make me realize the utter devastation that so many endure on a daily basis. I would recommend this book as a MUST READ. In this memoir translated from the original Japanese, Masaji Ishikawa candidly recounts his tumultuous upbringing and the brutal thirty-six years he spent living under a crushing totalitarian regime, as well as the challenges he faced repatriating to Japan after barely escaping North Korea with his life. A River in Darkness is not only a shocking portrait of life inside the country but a testament to the dignity—and indomitable nature—of the human spirit. You can’t handle reading about utter human despair. This is a tough one, not gonna lie. You need a positive, uplifting book…cause this ain’t it.